Suzanne is an active supporter of Lions Camp Dorset and is a member of their board. Lions Camp Dorset is a cottage resort in Dorset Ontario for adult dialysis patients. The camp is a place for patients to have a holiday with their families. Suzanne joined the Board of Lions Camp Dorset in March 2010 as a Director, and is also the secretary to the board, and the liaison for the district camp chairs. 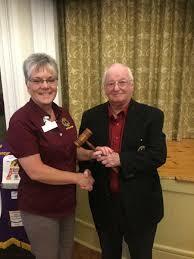 Ancaster Lions Club would like to thank Past Present Mel Dempsey for leading the club for the last 2 years. Ancaster Lions are always looking for new members to join the club. Ancaster Lions Club meets bi-weekly on the second and fourth Tuesday of the month at the historic Ancaster Town Hall. 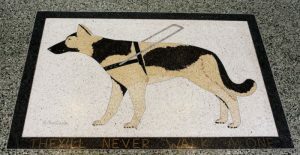 Visit ancasterlions.com for more information. Check out our Craft and Gift show page for more info. 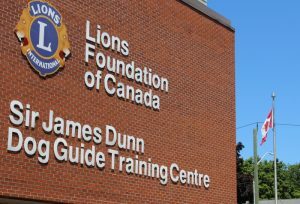 Recently members of the Ancaster Lions Club took a tour of the Lions Foundation of Canada, Dog Guides training center. 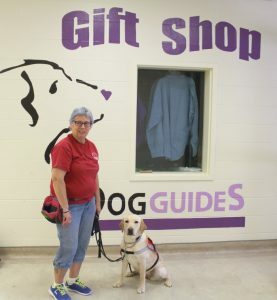 Jenny Gladish, Communications Manager, of the organization, and her foster dog Yale, escorted us through a wonderful facility where the foundation’s client’s lives are made better through caring and attention to detail. 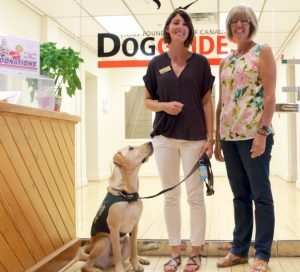 There are over 26 socializing and residence areas for trainers and clients to work together with the dogs to create a successful partnership. 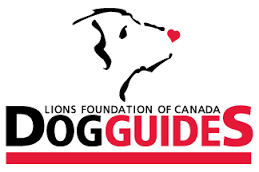 The dog guide program was first launched in 1983 with the first graduates completing training in 1985. There have since been approximately 2,400 grads with larger classes being added every year. 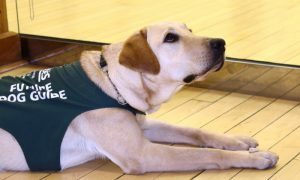 The staff of the foundation work tirelessly to ensure the best training and care of the dogs and, in turn, a good match and lifelong partnership for their clients. Working with no government assistance the program is financed only by donations from service clubs, corporations, foundations and generous individuals. Fostering is another aspect to the dog guide journey. Volunteers can foster eight week old trainees. The foster family would house-train and go to school with their charges. Puppy classes are held every 4-6 weeks at either the Foundation’s Oakville or Breslau locations. Part of the fostering process is to socialize the puppy in various locations such as a mall, grocery store or your neighbourhood. Food and veterinary care are all covered thanks to the generous donation from Nestle and the in-house Lions Foundation veterinary team. If you would like to become a foster parent to a dog go to http://www.dogguides.com/foster.html for more information.